Without hard data evidence, we are still seeing good initial yields (>6% gross initial) and assets with upside potential in many regional markets in Germany. In regional cities and towns, increased demand has also driven prices but not to the same extent as in the major cities. Residential investment properties have become expensive in most towns and regions but particularly commercial investment properties have not fully followed that trend yet. Most international real estate investors have trouble appreciating Germany’s federal structure and shy away from regional markets because they fear getting stuck there with no viable exit. However, markets are not as illiquid as often perceived. The German economy is very regionally structured and most (not all) regional markets enjoy stable and dependable markets – up to a point. Germany boasts more than 100 cities and towns with more than 100,000 inhabitants. Nonetheless, regional markets should be played with care and it is of critical importance not to buy too exotic a product and to stay within established market conventions. It would indeed be very risky to buy a 50 million Euro office asset in a town of 100,000 inhabitants. However, if you stay within a volume bracket of 1-5 million, the risk is significantly mitigated. Also, most local competition from private investors for assets is below 1 million Euro so that initial yields in the midcap volume bracket tend to be more attractive than for smaller assets. In addition, if the focus is on multi-let assets, the occupational risk is also mitigated and the result can be a good investment with an interesting risk-return profile. If you are having trouble finding decent returns in Germany, consider midcap regional investment assets. I am happy to have a conversation to find out how we can help you to get into the regional investment markets. 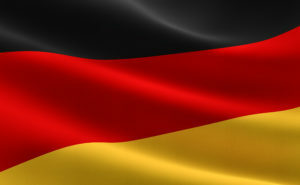 Alternatively, check out our little howto guide to property investment in Germany here. You liked this article? Please help to spread the message and share it with others on social media.